Hello my lovely peeps, I hope everyone has been having a good week so far and are not feeling too cold. Well I can officially say it is so cold here that I just had to break out the snowflakes, my nails needed to look as cold as I felt. This time of year all I want to do is stay in my pj's and fluffy slippers and sip on a large cup of hot chocolate. I'm sure many of you out there feel the same, unfortunately my little girl does not agree and just thinks that every moment of the day should be spent playing and running around the house. 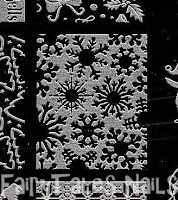 Enough of my wintery woes lets get into some snowflakey goodness. 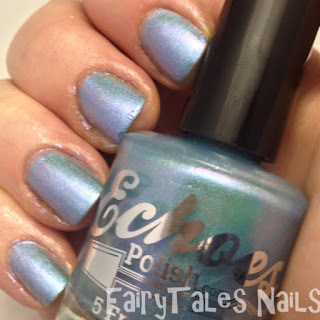 For the base for this manicure I went straight for one of my new Echoes polishes, this baby is called Frisky In The Frost. 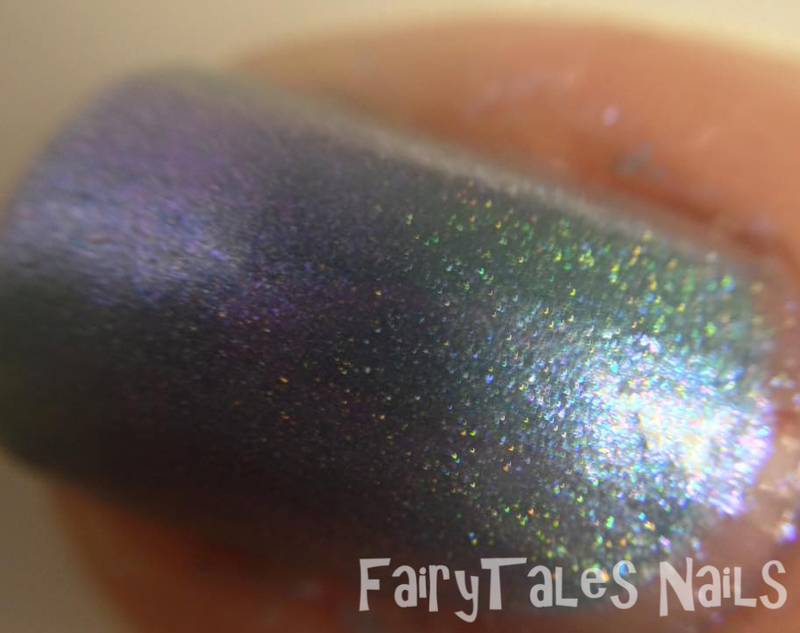 It is a gorgeous icy blue holographic with a subtle violet shimmer. This polish is the perfect colour for how cold I am feeling right now. Not only is this a gorgeous polish but I had a peppermint scent added to it and oh wow, my nails actually smelt like candy canes. This polish is opaque in 2 coats and once it has fully dried the smell from it is amazing. Echoes Polish are an Indie maker from Canada, they are 5 free, vegan friendly, cruelty free and quite frankly amazing! 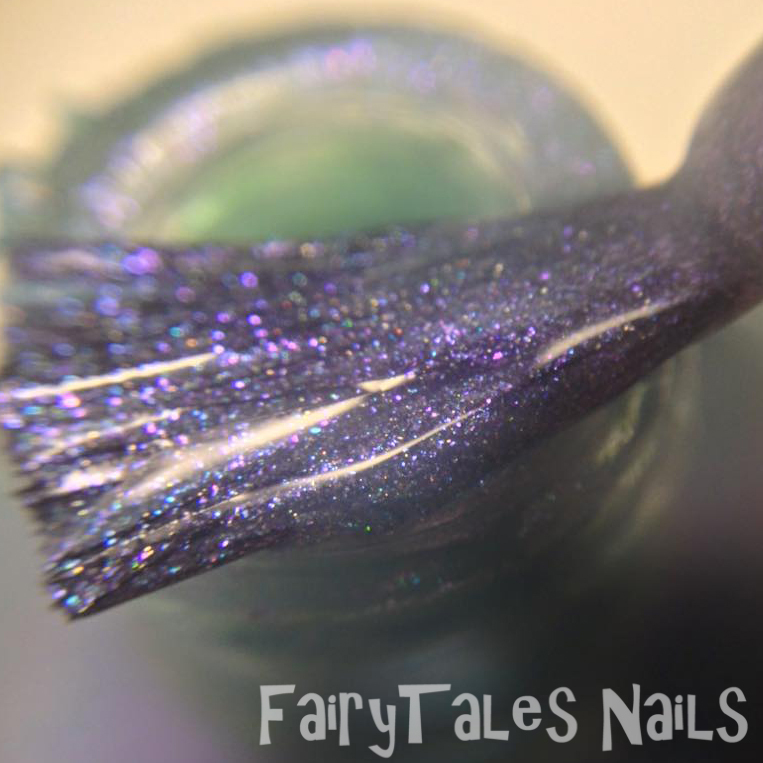 I had some custom polishes made by them recently and I was so impressed, click on the link to see that post. They recently released their winter collection and they are gorgeous some great colours for this time of year. Before doing any stamping I added some HK Girl fast dry top coat and waited for that to completely dry. 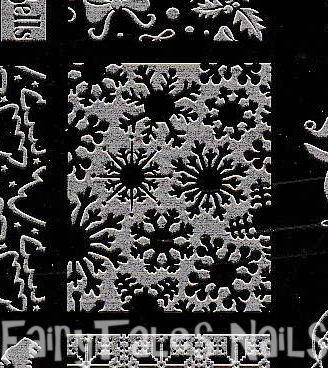 Then I picked up my Uber Chic Christmas plate and used both snowflake images, I wanted to try and have both blue and white snowflakes so I used the inverse snowflake image on my pointer and ring finger. 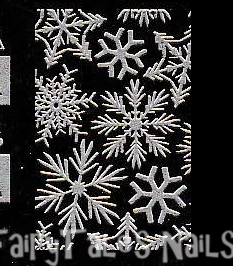 Then stamped the normal snowflakes on the rest of my nails, for the stamping I used Born Pretty store white stamping polish and my Moyou London stamper and scraper. 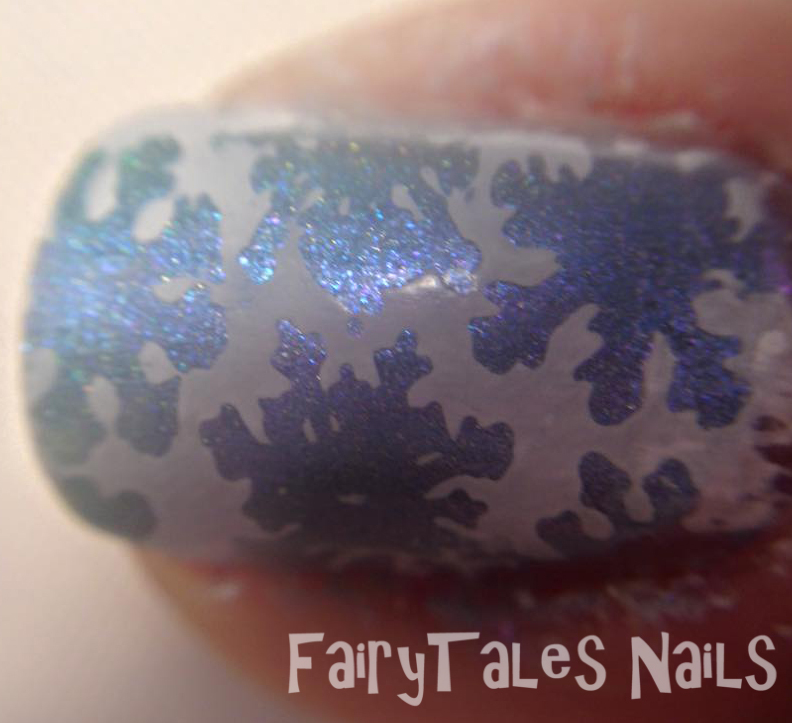 Once my stamping was finished I used my top coat once more to seal my design in, I was really happy with the finished result it came out just the way I wanted it to. 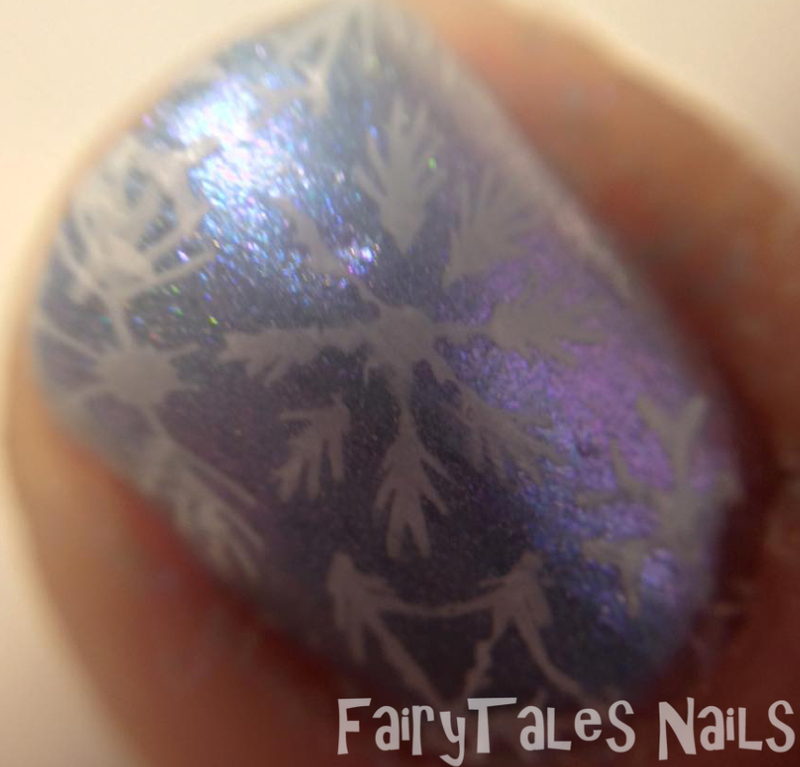 I love this mani especially considering how cold it is here at the moment, I really do hope we see some snow this year as it would be the first time for Lexi and I am sure she would just love it. 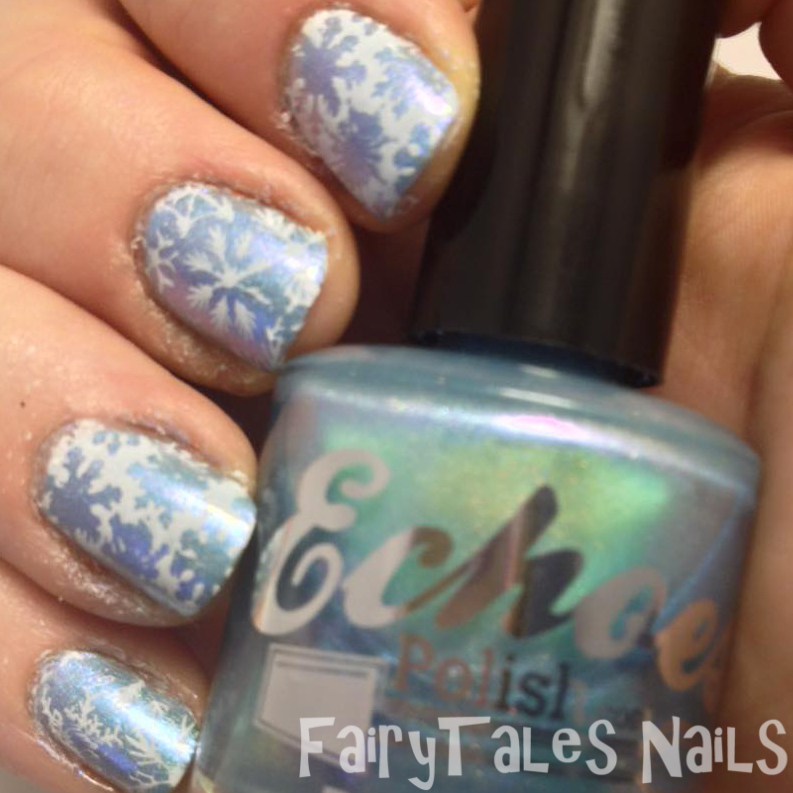 Echoes Frisky In The Frost is such a gorgeous polish I am so glad I have this wintery icy blue in my collection and I plan to buy plenty more of their polishes in the future. I hope you have enjoyed this post and keep your eye's peeled for many more festive manicures coming up this month, so many ideas and only 25 days. 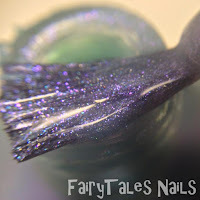 As always I hope you are having a great nail day and any feedback on this post or my blog in general is highly appreciated. I hope to see all you wonderful readers in the next post.